” This Government has listened to the recent concerns and, in order to provide additional reassurance, is moving quickly to address them through this Bill. I appreciate the constructive consultations with the Australian Medical Association and the Royal Australian College of General Practitioners and I welcome the recently reaffirmed support from all state and territory governments for this important health reform, for the opt-out process and for the strengthened privacy provisions at the recent COAG Health Council meeting. We have 790 transient clients so if, for example, a client from the Northern Territory visits us, it is not easy to get hold of their doctor. Having a My Health Record means our GP can access their important information quickly. What’s really exciting now is that more and more information is being uploaded into records. The more information you have, particularly medicines information, the more useful My Health Record is. I am pleased to introduce the My Health Records Amendment (Strengthening Privacy) Bill 2018. The Australian Government takes seriously the security of health information. This Bill will make amendments to the legislation underpinning the My Health Record system to strengthen its privacy protections. A My Health Record puts consumers at the centre of their healthcare by enabling access to important health information, when and where it is needed, by consumers and their healthcare providers. Consumers can choose whether or not to have a My Health Record and can set their own access controls to limit access to their whole My Health Record or to particular documents in it. The intent of the My Health Records Act has always been clear- to help improve the healthcare of all Australians. The My Health Record system aims to address a fundamental problem with the Australian health system – consumers’ health information is fragmented because it is spread across a vast number of locations and systems. A My Health Record does not replace the detailed medical records held by healthcare providers; rather it provides a summary of key health information such as information about allergies, medications, diagnoses and test results like blood tests. The My Health Records system will improve health outcomes by providing important health information when and where it is needed so that the right treatment can be delivered safer and faster. It enables individual consumers to access all their own individual healthcare records privately and security for the first time. 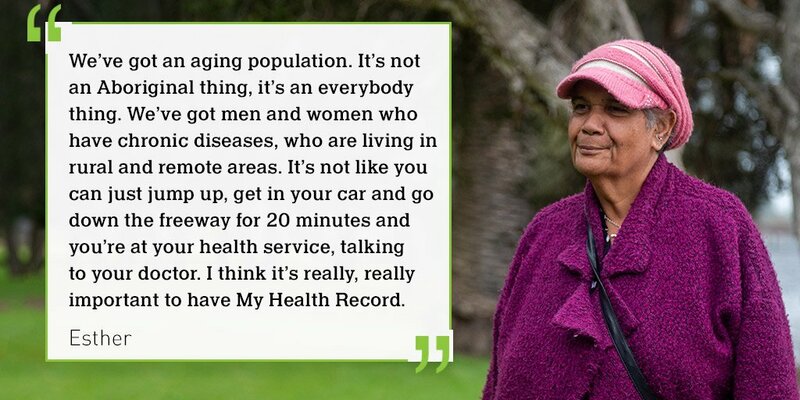 The My Health Record system has now been operating for more than 6 years. More than 6 million Australians have a My Health Record and more than 13,000 healthcare provider organisations are participating in the system. Almost 7 million clinical documents, 22 million prescription documents and more than 745 million Medicare records have been uploaded. In June 2012 the Personally Controlled Electronic Health Records, or PCEHR, Act took affect and the PCEHR system began operating in July 2012. This Act contained the provisions around disclosure to third parties and the archiving of cancelled records that are being amended by this Bill. In November 2013 the Coalition Government announced a review into the PCEHR system that subsequently recommended a move to an opt-out system. In November 2015 the Health Legislation Amendment (eHealth) Bill came into effect. This changed the name of the system from PCEHR to My Health Record and enabled the opt-out approach. The Bill passed with unanimous support in both houses. On 24 March 2017 the COAG Health Council agreed to a national opt-out model for long-term participation arrangements in the My Health system. This support was reaffirmed in August 2018. In May 2017 the Government announced national implementation of opt-out as part of the 2017-18 Budget. On 30 November 2017 I made the My Health Records (National Application) Rules 2017 to apply the opt-out model of registration to all consumers in Australia, and to specify the period in which consumers could opt-out. The opt-out period commenced on 16 July 2018 and will end on 15 November 2018. As part of the 2017-18 Budget, this Government announced that, in order to achieve the benefits sooner, the My Health Record system would transition to an opt-out system whereby every Australian will get a My Health Record by the end of this year, unless they’ve opted out. The opt-out period started on 16 July this year, and the Australian Digital Health Agency, together with many partner organisations, has been working closely with the healthcare sector to inform consumers about the purpose and benefits of My Health Record, the privacy settings for restricting access, and the right to opt-out. Soon after the opt-out period concerns were raised by some groups – specifically, that My Health Record information could be disclosed for law enforcement purposes, and that health information would continue to be retained in the system after a consumer has cancelled their My Health Record. The system has operated for six years and no material has been released for law enforcement purposes. In any event, the policy has been that there would be no release of information without a court order. 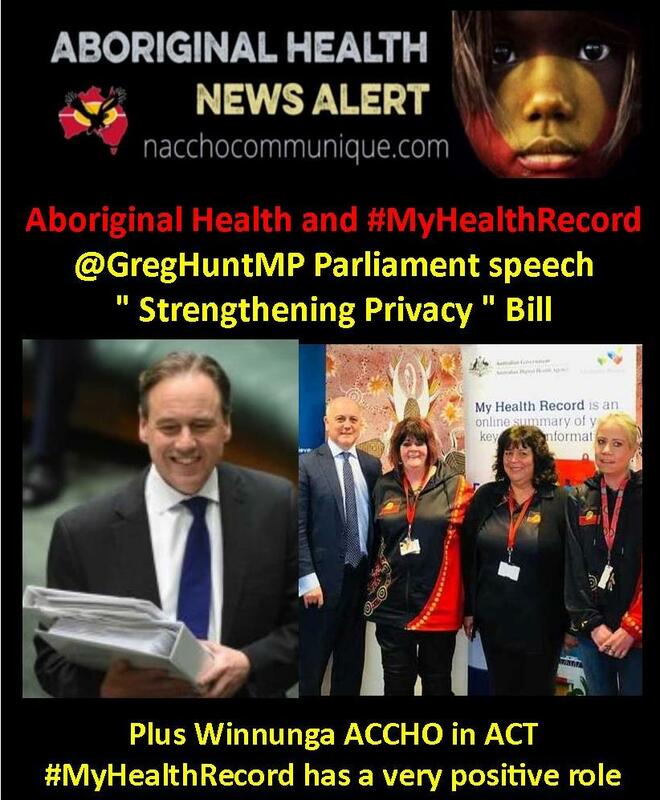 I think it ‘s important to be very clear about this – the My Health Record system has its own dedicated privacy controls which are stronger in some cases than the protections afforded by the Commonwealth Privacy Act. 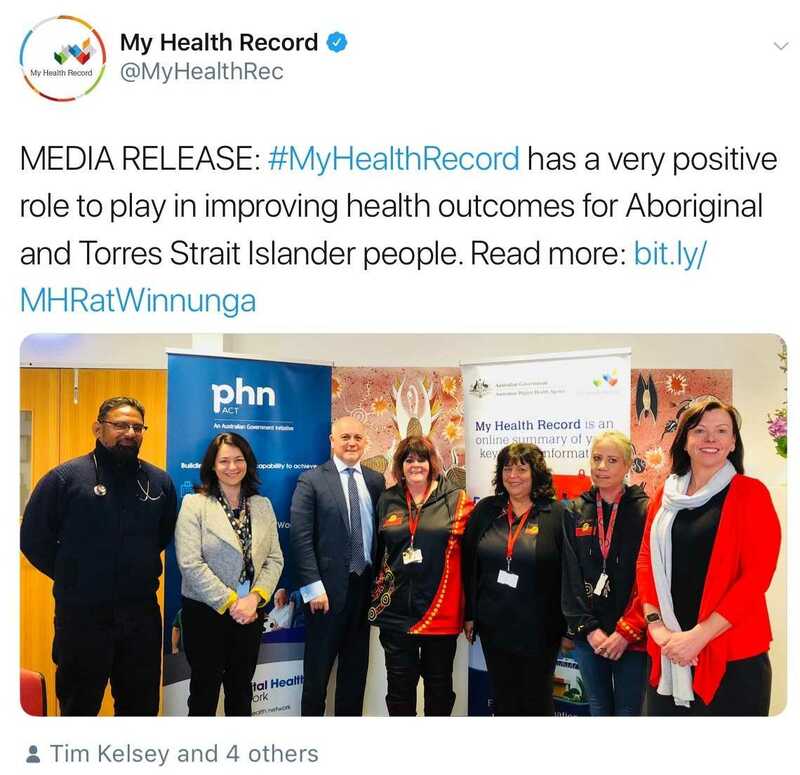 The operation and design of the My Health Record system was developed after consultation with consumers, privacy advocates and experts, health sector representatives, health software providers, medical indemnity insurers, and Commonwealth, state and territory government agencies. Further, the system has been operating without incident since July 2012. Nonetheless, this Government has listened to the recent concerns and, in order to provide additional reassurance, is moving quickly to address them through this Bill. I appreciate the constructive consultations with the Australian Medical Association and the Royal Australian College of General Practitioners and I welcome the recently reaffirmed support from all state and territory governments for this important health reform, for the opt-out process and for the strengthened privacy provisions at the recent COAG Health Council meeting. The Bill will remove the ability of the System Operator – that is, the Australian Digital Health Agency – to disclose health information to law enforcement agencies and other government bodies without a court order or the consumer’s express consent. This is consistent with the System Operator’s current policy position, which has remained unchanged and has resulted in no My Health Records being disclosed in such circumstances. The Bill will also require the System Operator to permanently delete health information it holds for any consumer who has cancelled their My Health Record. This makes it clear that the Government will not retain any health information if a person chooses to cancel at any time. The record will be deleted forever. In addition to these amendments I have already extended the opt-out period by a further month to end on 15 November. This will provide more time for consumers to make up their own mind about opting out of My Health Record. 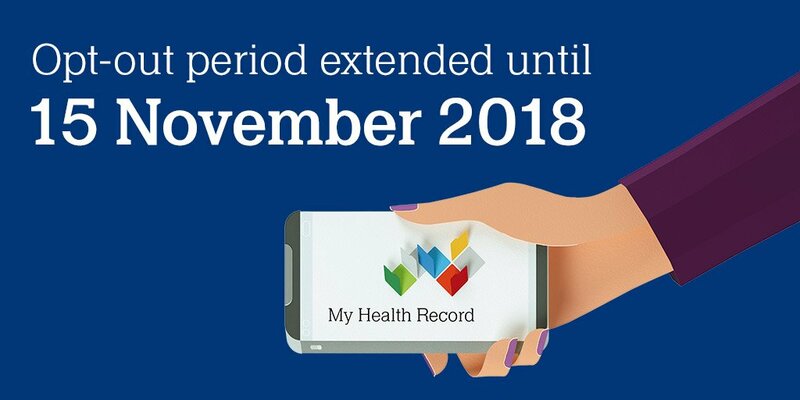 Even after this period a consumer can choose not to participate at any time and cancel their My Health Record – their record will then be cancelled and permanently deleted. These legislative changes reinforce the existing privacy controls that the system already gives each individual over their My Health Record. Once they have a My Health Record, individuals can set a range of access controls. For example, they can set up an access code so that only those organisations they elect can access their record, and they can be notified when their record is accessed. They can also elect if they don’t want their Medicare or other information included in their My Health Record. The My Health Record system will provide significant health and economic benefits for all Australians through avoided hospital admissions, fewer adverse drug events, reduced duplication of tests, better coordination of care for people seeing multiple healthcare providers, and better informed treatment decisions. The Australian Government is committed to the My Health Record system because it is changing healthcare in Australia for the better. The Australian Government is equally committed to the privacy of individual’s health information. These measures to strengthen the privacy protections demonstrate this commitment. Submissions are sought by 14 September 2018. The reporting date is 8 October 2018.